Siliguri: Mamata Banerjee said on Tuesday that government employees in the Darjeeling hills would get the salary for two months of the shutdown while teachers in state-aided institutions would be given the pay for three months. The chief minister also said she would visit Darjeeling next month or in January when the Gorkhaland Territorial Administration (GTA) would organise a tourism festival. At the fourth round of bipartite talks with political parties in the hills, the Bengal government took several decisions to placate the grievances of the hill people. "A compensation of Rs 2 lakh would be given to each of the families of those who have died in the agitation and do not have criminal cases against them. Those who were seriously injured would get Rs 50,000 each. The GTA, with our permission, will also provide a job in the Group D category to a family member of each of the deceased," she said. Government employees in the hills had been worried about their salaries for the three months of the shutdown when they could not attend office. On Tuesday, the chief minister said that teachers in government-aided schools would receive the pay for all the three months. "They will, however, have to work on holidays to finish the syllabus. Government employees in other departments will get two months' salary," Mamata said. The chief minister also announced a series of industry and review meetings in the hills and said she would return to Darjeeling in a month. 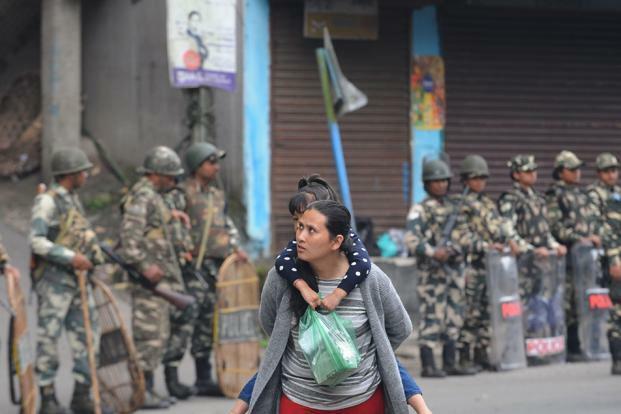 Mamata Banerjee said on Tuesday that government employees in the Darjeeling hills would get the salary for two months of the shutdown while teachers in state-aided institutions would be given the pay for three months.